Any who saw the fist film in the Matrix trilogy series would no doubt remember that great ‘moment’ when human kind has been reduced to the status of bio-batteries to power the mad world of the robots-in-charge. Everything we think we see, feel, and know is an implanted delusion. Imagine that! Everything you see and think you know is fake; a construction implanted in your brain. We are all living a reality scripted for us by the bots in charge.Your favourite music: fake. Your favourite book: fake. Your family, your friends, your personal memories: all fake, fake, fake. Both these film propositions are two sides of the same existential coin. This thing we call ‘me’ or ‘I’ is always there driving our mental car (and what a lousy driver ‘me’ or ‘I’ can be). What would we become if we did indeed take a holiday from ourselves; or if we woke up from our role as a power supply for the Matrix? Who or what would be peering from our eyes? Would we then be like a tree? Or would we see the world like a Kangaroo? But consider this. And many do. Consider the notion that we could observe the observer who is seeing the world through our very own eyes. Imagine you are watching yourself via spy cam. Consider yourself to be clinically observing yourself in a rampaging rage. Or in the process of getting upset. Or retreating under the weight of monumental injustices. There you are, silently watching this real-time video show starring yourself living the raw life out to a script that you are writing as the world goes on. That’s what Buddhists do. That’s what philosophers have pondered since philosophy began. That’s what we usually fail to do when the rage/pain builds to a flood. We stop watching; we become. Some never watch, some never see. Some, or could that be most?, just play to the script without ever knowing there’s a plot to play. The constructions of the mind start from birth. From the moment we are born we start constructing the sense of self to which all matters are referred, through which all matters are interpreted and which directs our responses; at a speed no computer can emulate. Like an onion, we add layers and layers of detail to this construction of our selves. Our constructions are always changing, always moving; but the layers are all still there. You can mine yourself to re-play the self you perhaps once held yourself to be. But what if we could play back to that very first layer? Back to that layer before all the neurotic bits got added in… To see the world again with an intelligence unclouded by the indulgences of an ego in perpetual need of validation or flattery! The games we sometimes play to project our self image can get pretty subtle. Even those who profess to be ‘in charge’ of their inner ego delusions can end up playing the same game as the diamond tiara BMW set. Beware the pseudo monk in saffron sitting in his cave. Can we be sure that he’s not projecting a display through which to tell the world about his imagined purity of mind? We can be truly taken in by monks claiming control over the delusions of a self-made mind. But there is something we can all do to control the rampages of our ego inner-child. All we have to do is simply know that the things we do might be driven by neuroses of this kind. All we need to do is to simply know that we all hold an ego-beast within the confines of our minds. All we need to do is to know that the beast is in perpetual need of escape and display. All we need to do is to maintain a watching eye over the workings of our mind. That’s called being ‘reflexive’ of what it is that is driving the thoughts we have. Perhaps you can touch and prod those inner workings via meditation. But even without that, we can achieve a great deal by applying some ‘testing questions’ to the inclinations, urges and pathways we might choose. As yourself. Am I thinking this, doing this, or reacting this way because of some need to act out the script our ego might have devised? Are our actions motivated by some need to conform to the persona we imagine ourselves to be or to desire? Did we choose that career, that car, that hair style or react the way we are reacting to any given crisis at hand because of the dictates of our inner beast? Are you sure? Really? Just think how politics would go if our representatives inserted such a reflexive firewall between what they think and what they do. Just imagine how your workplace might be run if those in charge considered their inspirations in a more self-reflexive way. Imagine all the wars we would no longer need. Imagine all the miseries the world could easily avoid. There’s a word for such an enlightened place. Nirvana. A place for enlightened self-reflexive minds. From where I stand right now, I reckon nirvana has a population pretty close to the number of humans currently on Mars. But to get to that better place, we all need to take the first step. Any step forwards is one removed from where we were before. There’s no getting away from it; despite the most dedicated of management or political intention to pretend otherwise. Humans are and always will be, humans. Which means individual bundles of self-constructed world views wherein each and every single one of us sees the world from the perspective of our … individual selves. There’s no getting away from it. You can only see the world through the goggles of your individual ‘circle’ of perceptions. If it were otherwise, you could see the world through the leaves of a tree or from the perspective of an ant. Which you can’t. You might imagine yourself peering at the world through the veins of a leaf, but it’s always going to be you that’s looking through those veins. Or through the eyes of your cat. Or from the eyes of Steve Jobs, or from the eyes of that soaring eagle you might have wished you could become, at least for a day. Whatever we do, it’s still you doing the looking. If you could manage to leave yourself behind, how then would you be able to report on what it was that was seen through these eyes that are not yours? The ‘you’ in this viewing equation is like a sheet of photographic film. Nothing will be recorded if you are not there to receive the images involved. We spend our entire lives building the perceptions from which we interpret the world around us. Just like a hugely deep, sponge-like emulsion of film. Genetics are the framework. Nurturing, schooling, and every experience we ever had come together to resolve the pixels in the fabric of the lives we live. 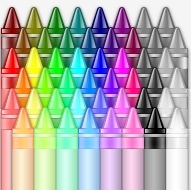 Every pixel of light we receive is rendered via our own personal palate of interpretative crayons. We will always have fewer shades of colour to apply than there are shades to be recorded. The picture we paint will always be an abstract view of what it is that we think we see. And everyone else is rendering that same landscape through a nuance and distinction that’s at least slightly different for each observer involved. What if you see through a palette of 128 colour crayons and I see through 256 shades of charcoal grey? So, let’s admit defeat. Our perspectives will always be different. So, what do we do? There’s two broad paths. The first is to tune and lock the world to the colours that I alone can see. We can stand with our Nazi salute and insist that every one sees things exactly the way I do. Or throw dissenters into a cage. The second is to unpack our dissentions through an exploration of difference before we even start. We need to calibrate our monitors to account for the unique values of light that colour our particular views. Guess which approach is the highway and which is the unused goat track that few ever seek to travel? Why do you suppose there are wars? Why do we have courts? And why do you suppose that politics these days is either an exercise in dictatorship or an exercise in vacuous rhetoric? One path is fairly flat but heads off ultimately into the hills. The other starts with a mighty climb. The first path is easy to start. But ever so hard to complete. The second is a challenge to start, but a pleasure once we get past that pass now shrouded in clouds. The whole world is set to take the path that easiest to start. Let’s all pretend that what you see is what I see in exactly the same way. Then let those in power assume all difference away. Let’s construct our theories of the way the world should work and let the theory take the driver’s seat. That’s precisely how modern economics works. When reality diverges from theory, change reality to fit. Then when economics ultimately fails to resolve that which it has no real capacity to consider, we leave it our politicians to sort. Or to our grandchildren. Or, generally, anyone but us. When we take the more immediately challenging high road, we must tackle the fundamentals of our fundamentalisms. We must deal with the questions we’d rather not address. We must deal with the demands of our insatiable selves; we must open our egos to the introspection of others. We need a talented guide to facilitate journeys like that. Buddhists consult their lamas. The rest of us will probably need facilitators more tuned to the landscapes of the lives most of us live. But digging we must do. Listening is the key. Communication is the power of progress. Deep listening, meaningful conversation. Collective deliberation. Deriving detachment from positions to which we may have become stuck. Like barnacles on the hull of our otherwise sinking ship. It’s not easy. It’s a tough opening climb. But the vistas open to the opened mind are vast and inspiring. Progress is the crop to reward the efforts of that early ascent. The easier path is a path to dissension. Dissension is the reward when we close our minds to minds that are coloured differently to ours. The downward spiral is actually an unconquerable hill. Like Sisyphus, we’re stuck to push a rock that gathers mass with each additional step. All the better to roll back down over our heads when we think progress has been made; and recycle history all over again. But that’s the path we always seem to take! History keeps repeating the traumas we think are unique to our current times. Civilisations rise, civilisations collapse, for reasons that are alarmingly the same. Just like the recycling of Sisyphus’s stone. Surely it’s better to deconstruct the differences we each enjoy. Than to follow the car crash notion that we are all the same. But no. Instead, we have built huge mega industries of band aid denialism. Entire professions feed off the compost of our denial that we do indeed see the world as an infinite array of artistic impressions. Academia is strangled by the tyrannies of conforming with like-minded peers. Public servants tow lines of the politically correct. Corporate stoogism rules the world of commerce. Medicine is strangled by a straight jacket of conventional wisdom purpose-built to deny lateral thought. Politicians tell us exactly what it is we like to hear, rather than what we need to know. With the legal profession ready-leashed to settle the arguments that ensue. We live lives in a thermal sweatbox of deeply composted rules. Rules to constrain what happens when we disagree. Rules to adjudicate, rules to enforce conformity of view. Rules that are laws, rules of religion, rules of fashion, rules that govern procedure at every step. Rules that constrain thought. The greatest construction of mankind has been the edifice of rules we’ve built via denial of the distinction of perception that separates every mind on the face of the earth. That construction is the real Tower of Babel. Like the waxed wings of Icarus, that tower will collapse as it expands ever towards the Sun… Or strangle our view until the entire edifice falls; after apocalypses like global warming and the steady eradication of life-defining biodiversity have tipped beyond the tipping point of no-return. I remember way way back into the depths of time when I was a wee primary school lad. I remember that these were not happy times. I remember that I pathologically hated school. Or more precisely, the noxious, scathing, appalling horror of a teacher with whom we had been afflicted. Ms Fielding was her name. The School was St.Ives Primary. A nice school, except for that teacher. All this sticks in my mind as I cringe and fume a fury of exasperation at the recent attempts of the education bureaucracy machine to assault our schools with quantitative school quality scores based on measured ‘performance in literacy and numeracy’. You can study the background story here. For current purposes, the basic idea is that the State Government is proposing to measure and rank all schools to allow parents to check the scores of prospective schools and underpin ‘informed choices’ with regard to where they place their kids. There’s a disease going on here. To be technical, it’s all about the curse of an ‘objectivist epistemology’. To be less technical, it’s all about the plague of reductionism. I’ve mentioned this disease in its various forms in just about every post to this blog to date. It’s the chronic debilitation of managerialism. When the world gets all nice and richly complex, bureaucrats of this demeanour go all simple-minded by way of response. Like ostriches hiding their heads in the sand, those who would tame complexity with statistics start playing trains. They put on their engineering caps and build more rails of rules; and higher walls. They build ever more elaborate fortifications to keep all that unruly complexity out; to keep the war of chaos out of sight and (blinkered) mind. Reductionism is the key. When confronted with complexity, build a bigger wall, grab a pair of shears. Cut away all the detail and leave just the bits you want; especially those bits you can measure, and cast into improved bricks for the wall. When the world is full of so many nasty hard-to-measure things, there’s ever more fortification and cutting to do. Cut, cut, cut away until all that’s left are the bits for which the statistics look best. That’s the mantra of the bureaucratic machine. That’s the mantra of Instrumental Rationalism. Management becomes a task for the implementation of tools that fit only those cogs that can fit the tools at hand. If the cogs don’t fit, why, change the cogs! If reality does not fit the perspective we would seek to apply, the task for management becomes the task of changing reality to suit. Soon enough the world will be filled with a universal one-size-fits-all set of nuts. To return to my childhood traumas. How, exactly, would measurement of literacy and numeracy have helped my cause? Actually, that would have simply made matters worse. The problem was a psychopathic teacher who, incidentally, was pretty good at teaching spelling and numbers. The problem was a nut beyond the reach of any tool then being applied. The problem was within the chaos of all those ‘soft unruly bits’ that are beyond the reach of any instrumental rationalist’s tools. Soft unruly bits like a teacher with a personality unmatched to the psycho-social requirements that good teaching requires. Which leads me into a domain very close to my heart. I have a passion for the Steiner education system. Or for Waldorf schools if you prefer. I sent both my kids to such a school. This school left a mark on my soul. It left an even greater mark on the souls of my kids. It was absolutely everything that my old school was not. There was a passion, here, for all the components of learning that engage kids for life. There was joy in learning there. This is an educational system beyond the comprehension of education bureaucrats who would rather be playing with trains. Here is a school system with no walls. The chaos of all those things that merge, intertwine and spark journeys into a life to be well-lived are cherished as in a garden fertilised by all that’s good if not great about mankind. These are schools that would defy any attempt by the instrumental rationalists to measure and rank. Because all those things which make such a school truly great are outside the dimensions with a capacity to be measured. 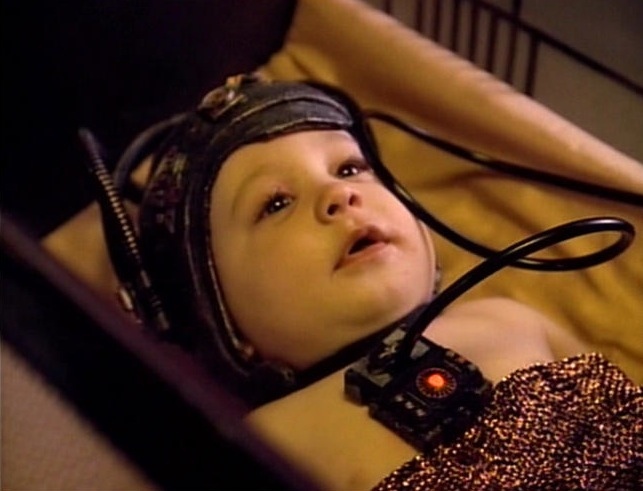 In my view, all that we can get from the misguided efforts of our education bureaucracy to calibrate our schools, like cattle marked with fat-test-scores, is a best-fit pathway to the education of the Borg. Resistance (to the psychotic compulsions of Instrumental Rationalism) will then truly be … futile. The problem with people (apart from there being far too many) is that they usually only see in mono. Not glorious stereophonic, let alone in surround sound. In case you missed it, there’s a war going on right now. It’s a war of big ideas with huge consequences, and, for once, it’s a war that has captured the publics’ attention. This one’s not some storm in the cups and saucers of the academic tea room. This one is the very McDonalds of debates (with just about as much intellectual nutrition as a Big Mac to underpin most of what’s being said). It’s the current debate over climate change. Everyone’s got an opinion, so very very few have any facts. Deeply insightful debate, for sure. What’s really going on? What’s the cause of all this noise? Can we really slide towards an inspired global political consensus; scientifically informed, community supported, corporately aligned? Not a chance. The game so far has all been about window dressing a building that was never really there. It’s all about decorating that stage-prop of a building front with nothing real behind. No one’s looking behind the curtain anymore. No one’s bothered to ask the guys stoking the boilers in the bilge below. They can see the ice berg poking through the hull. And all that water flooding in. Speaking as someone who tried, but pointedly failed, to inspire a more creative smoothing the scientific and economic plate tectonics involved in this global conflagration, the issue is all to do with time. Economics is all about now. Our economies are engineered for the next 20 years. After that, no one cares. Officially. Because time after that is discounted, effectively, to zero. No matter what they might say. And if they do say otherwise, they are having you on. Or they’re not using conventional economics. Ecological Science is spaced out over timeframes that are defined more by evolutionary themes. Geological time, population trends, biodiversity impacts, butterfly wings and global chaos. It’s harder to focus on humans alone when you start looking at biodiversity webs. So, here we were, truck and bike waiting patiently while a couple of stockmen threw curses and instructions to their dogs to, somehow, break this stalemate of who-goes-first. But these steers would not shift. They turned their backs to the bridge to counter this threat of barking dogs. They bellowed and decorated the road. They stood their ground like defenders of some kind of lost cause. No one was going anywhere, at all. Until one iconoclastic hounded beast decided to head off over the closest fence; a clever mooove, I am sure, to confuse the enemy. Which it surely was. As now the stockmen have another task to perform quite contrary to their original intention. There was something astoundingly familiar in the dramas of this scene. Looking at all the excreta on the road, the stupefaction of the target audience, all that pointless barking and shouting and all that dysfunctional milling around, I was reminded of the current Great Climate Change Debate. The bridge is the Copenhagen Conference. The mindless mentally loop-locked bellowing crowd in-search-of-a-leader is us (well, those not possessed of bicycling mind, anyway), and that notable beast who took off over the fence in search of a better, less traumatic place to hide, is the model of our current political leadership and their advisers (chasing Emissions Trading Schemes and other worthless fantasies). There are some exciting parallels to note. That steer that took the first step across the bridge … is the stall-buster we’ve all been looking for. The barking dogs are the frenzies of big-stick managerialism at work (wielding trading schemes and associated policy prods) – all noise and pointless confusion to the real task at hand. So, you see, the task at hand is not about cattle dog barking conferences, agreements and other associated over-priced diversions. The task at hand is to work on the crowd; directly, intelligently, patiently and with a degree of cleverness completely missing from the current Climate Change Debate. The task at hand is to spark a revolution of emergent, grass-roots derived revolution of purpose and action. It’s all to do with the folk milling in the crowd at the edge of the bridge. Not with the application of big sticks, shouting and energetic cursing. Those are blunt, unwieldy, energy intensive tools to apply. Much better to get in there and ‘whisper the right words in some well chosen ears’. The task is much more a process of herding cats… or steers, than laying down some polished rails from the platforms of mega-conference ego-fests. I am un-surprised by the herd culture most people seem to be displaying in relation to Climate Change. 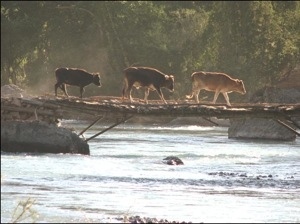 All these debates of denial vs. advocacy are the mutterings of a bunch of steers balking at the bridge. It’s all a noise of brays and moooing … signifying, ultimately, nothing at all. Except, via a five star irony of momentous proportion, for all the atmospheric gassing and mega ecological footprint defecation our leaders will be depositing on the bridge precipice of Copenhagen. Control population. We are all in this together. The world absolutely does not need more people. Stop at two kids per couple. Reject the car. Use bicycles, or public transport instead. Control consumerism. We don’t NEED all that junk! Imagine if everyone followed this simple plan! This is stuff WE can do without the urging of policies, plots and plans. These are the steps we can take to cross the bridge. Stop watching that runaway Hopenhagen steer. We are the people who make the world work. Not the corporations, tower sitters and the machinery of state. The cause is for each and every one of us to take personal responsibility for our journey across the bridge. You, me and 6.5 billion others. Before the poo piles get far too deep. 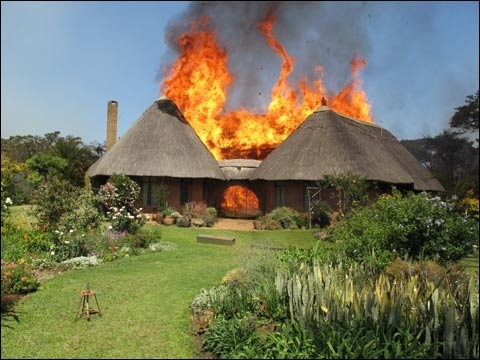 Consider this burning farmhouse in Zimbabwe. It belongs to Ben Freeth, a farmer who’s recent life and times would take the edge of the slings and arrows that might be disturbing our own sense of personal harmony. You think you’ve got it bad! There are various reports of the events that led to the burning of the Freeth homestead; some dry and matter-of-fact and others that paint a picture of an icon of the end-days of a civilisation in terminal decline. Some reports also show Freeth with his head bandaged. He and his family were recently abducted and beaten by those who believe there should be no white farmers left in Zimbabwe. It’s not a pleasant picture. Without digging into the rights and wrongs of what’s happened there, Zimbabwe now is clearly a picture of the despair of dislocated, severely incompatible world views in terminal collision. It’s all along the lines of the Lord of the Flies. When different people see different things, and fail to even begin to see how and what it is that others see, you end up with situations that can spin wildly out of control. Just like in Zimbabwe, or at the root of any war. Clearly, if by some magical transformation of psychology, farmer Freeth could transform the minds of all those who assail him to see and and to know exactly as he sees and knows, his immediate anxieties would cease. Or, if by some horrendous experiment in mind control, we had all been completely inculcated into the world views of Pol Pot or Hitler (as so many had), there’d have been less opposition to those tyrant’s plans. The point being that diversity of point-of-view is both the source and solution to power plays that get out of hand. We all see things differently; sometimes dramatically, sometimes via subtle shades of grey. Those shades are layered via the experiences we have, genetic predisposition, social influence, or perhaps through being abducted by aliens. Whatever the source, our minds are a nightmare collage of upturned perceptual paint pots fused into blots of outrageous tonal complexity. If you want to follow that thought, give the insights of Hans Georg Gadamer a run. If you want to understand how any particular crisis arose, to dig into the controversies that give us pain, or to simply become more informed about any issue with which you are involved, you need to dig into the minds of those with whom we are at odds. I am perpetually amazed at the refusal of people to recognise the simple fact that different people see things in different ways. In academic, scientific or deep-policy circles, all this translates to the multiplicity of ‘paradigms’ that might apply to tell different stories about situations we might be seeking to control. I am perpetually stunned that so many ‘good scientists’ working on noble causes – like the causes of and prospects for global warming – refuse to take any interest in that ‘psychological’ side of things. They would generally know about the co-existence of paradigms that might not be quite the same as their own. But their usual interest stops precisely there. I am stunned that we can have slings and arrows of invective thrown through the medium of the media or through the ‘learned press’; without the parties ever conceding that there might possibly be multiple ‘truths’ to the situations they contest. Truths are defined within these paradigms. A truth constructed within one paradigm might be a fallacy from within the construct of another. What you might see as false might be a truth to someone else. Both contestants are arguing entirely up the wrong tree! The argument is not about the truth they each see; its over these different ways of seeing the ‘facts’. The pathway to resolution is within the layout of the stones each camp erects as a pyramid to the beliefs they each hold. We need to do some archeology of the mind to understand what’s really going on. But, despite the fact that few if anyone would deny that different people see things in different ways, how many contestants to any debate ever bother to dig down to these fundamental layers to understand the true nature of their debate? I’ve witnessed intelligent, informed scientists debating like hissing-spitting children in pre-school playgrounds. I’ve witnessed entire professional careers destroyed by those whose empowerment privileges their own view over the views others might hold. I can certainly attest to that; my own career as a transdisciplinary ecological economist was destroyed by the scientific myopia of un-reflexive bureaucrats entrenched through far too much power. It almost seems that some people simply love the excitement of shouting their point of view. It almost seems that they simply don’t want to hear. It seems that they just want to hear their own voice. When it comes to issues like the conflagration of an entire community like Zimbabwe, or the conflagration of the planet through the machinations of global warming, you’d be thinking it might be worthwhile to devote at least some time to really getting down to understand what’s really going on… Rather than to continue on with the blinkered shouting and screaming between those who occupy different squares on the war-game that climate change has become. But no! Even in such high profile efforts as the Stern Review, there’s never any genuine discussion or consideration of the fundamental need to understand contested points of view. There’s only ever a claim for the ascendency of one view – a compressed ‘consensus view’ shaped by the hair net of selective perspectives – without the systematic de-construction of any other views that might prevail. One adjudicated, ultimately privileged view is claimed. The others are appendixed off into the crowd of the fringe. Dutifully noted, maybe, but relegated all the same. Contrary arguments are arguments from beyond the sanctum of the ‘peers’. They are arguments with nothing to contribute. All that’s at least implicit when you claim the ascendency of one viewpoint over all others. Our experts listen only to the music of their peers. How, then, do they ever explore the possibilities of lateral thinking and ideas that might transcend from the realm of heresy to the realm of the mainstream? Remember Galileo Galilei? Remember one-size-fits all medicine bags filled with nothing but leeches? I expect more from folk who are paid by the pound of their intelligence. I expect more from those who are paid to contribute to intellectual debate: our academics, public sector scientists and leaders. I expect a vastly greater degree of intellectual maturity; a preparedness if not a devotion to the challenges of understanding – really understanding – different points of view. I do not respect those who simply assert their views by shouting, or by privileging their positions with power. The rejection of insight from the fringes is simply cowardice or evidence of insufficient intellectual depth; or both. The Australian Prime Minister was busy suggesting, just this month, that he is sick of climate change deniers. He’s going to declare war against them! The implication is that their views are now to be taken as heresy. Invalid. That’s substandard leadership at its managerialist worst. It’s embarrassing. Rather, what I would prefer to hear, is that ‘leadership’ is now intent to hold deliberative discourse to debate contrary points of view to depths not considered before. I want to hear of an intent to initiate a forum of a deeper, more reflexive, shared learning kind; not for yet more public deliberation shaped on the model of expert panels and judicial arbitration. The worst case outcome from genuinely insightful, levelled-playing field, discursively accommodating deliberation would be improved understanding of the deeply-seated axioms – the very epistemological foundations – for these discursive perspectives. (Any scientist, politician or bureaucrat adviser who does not know what ‘epistemology’ means should, seriously, be sacked). Thus far, all debates concerning ‘climate change’ have been (implicitly or explicitly) conducted through hierarchically- and perspective-privileged ‘expert’ review. I do not accept that the ‘hearing of evidence from diverse points of view’ by the various and numerous ‘climate change expert panels’ we’ve seen so far have taken my recommended path. They have all been conducted as ‘enquiries’ for the adjudication of expert elites. The process of delivering insights for expert panel deliberation is not a debate shaped by the prospect for maximum learning. It’s a process more akin to the hearing of evidence in court. The learning is all one-way and increasingly filtered on its journey to the ears of politicians and those who shape policy. There are ways and means through which fundamental debate (or debate into the fundamentals of different perspectives) can take place. The key is talented and highly systematic facilitation. Read John Dryzek, John Forester or James Bohman for some clues. Read Peter Senge’s latest text (The Necessary Revolution) for some context. There is no excuse for ignorance of the insights these authors provide. But ignorance is in plenitude. I blame those bureaucracies charged with advising our political leaders for their abject ignorance. It is not good enough for them to re-play the same game the Church played at the time of Galileo Galilei. (Yes, we did ‘get there in the end’, with respect to understanding the earth’s revolution around the sun. But the journey was a blood bath and took way way too long as a model for dealing with a crisis like global warming). It’s time for the character of the current climate change debate to rise above the level of a scrum in a pre-school playground. We need to take a wrecker’s ball to the silos of the ‘establishments of experts’ that currently blights the ascendency of knowledge. It’s time for the human race to progress from the illiteracy of closeted expert-driven autocracy. It’s time for an age where the very concept of ‘experts’ becomes a quaint reminder of our partial-reductionist, managerialist past. We should, as I recommended in my previous post, incite a very necessary sea change for the climate change debate. Roderic Gill holds a PhD. in Ecological Economics from the University of New England where he is also currently an Adjunct Professor. He has supervised over 18 PhD theses that have dealt, both directly and indirectly, with the issues discussed above. He has a strong interest in the capacity of internet-based collaborative learning as the foundation for ‘dealing with’ fundamentally complex environmental issues. The Great Climate Change Debate is an exercise in the management of chaos. Or, if you like, is a process akin to the herding of cats. It has all the classic symptoms, including an ever-unfolding cascade of incomplete and always non-definitive science through which to explain what’s going on. Just like chaos, the more we look the more we find to look at. There’s debate across the scientific fleet. And not all the players are identified. 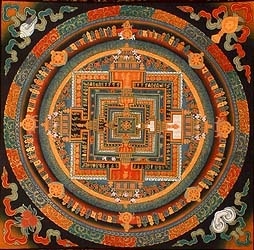 Just like chaos, there are dimensions wrapped around dimensions of knowledge that sometimes mix, and othertimes don’t. This is not a game that a single expert can control; because it’s a game way way beyond the understandings of any one area of expertise. But the game’s being played just like these games are always played; the old battleship fleet of expert committees and report-writing under an hierarchically-organised pecking order of authority forged in the market places of disciplinarily-exclusive, self-referentialised peer review. The machinery in charge of the whole shebang is a machinery more suited to the administration of trains. Climate Change is wild horse with an agenda of its own. Predictions might guess the next move, or maybe not. This horse has a mind of its own. I have attended many meetings and been introduced to much in the way of ‘cutting-edge’ scientific research concerning the directions of Climate Change. I have even written an official report recommending how at least one core government agency should organise itself around the issues involved. But the unsinkable Titanic is still in search of icebergs. The floundering ship of state is loosing the debate. Why? Because the culture of response we are busy applying is simply out of tune to the nature of the issues at hand. The machinery we are applying to this writhing nest of issues wrapped by the logo of Climate Change, is machinery of entirely the wrong sort. Or, putting it another way, every aspect of the controversies and anxieties we now see are an entirely inevitable outcome of trying to pretend that Climate Change will respond to the methods we are now applying to its control. This front page feature in the Australian newspaper is a flag worthy of deep reflection. It’s a siren call to suggest the need for a fundamental restructure of our way of seeing and of our way of dealing with all the issues correlated around the challenges of Climate Change. Basically, the story flags the failure of science to retain control. The article flags a groundswell of public (community) sentiment that’s now pretty easy to find. The ‘folk’ are ever harder to impress with the magnitude of the ‘scientific facts’. The ‘folk’ are becoming like a herd of cats. The premise of the current ‘debate’ is pretty simple: Science tells us that anthropogenic (human caused or at least, human-influenced) climate change, is a fact. We, the rest of the world, need to change our game. The experts have forged these facts through the black boxes of their expertise. The experts have organised their evidence in the usual way. Hierarchies of expertise have been erected through the scaffolding of inner-sanctum peer review. ‘Scientific Consensus’ on the issues at hand has been distilled and delivered through the best tradition of Scientific Objectivism (and even Positivism – to ensure the pyramid holds up on the broadest possible foundation). The machinery of Science (‘Good Science’) has delivered its ‘results’ (or at least its progress reports). The expected result should be an ensuing catalysation of profound change. The button has been pushed and the folk should respond. But they are not. Something else has hijacked the Scientific Establishment’s best intentions to guide the trains of state. Now, the ‘folk’ are beginning to doubt. Worse, they are beginning to snigger. Just like this piece on the front page of the Australian newspaper. 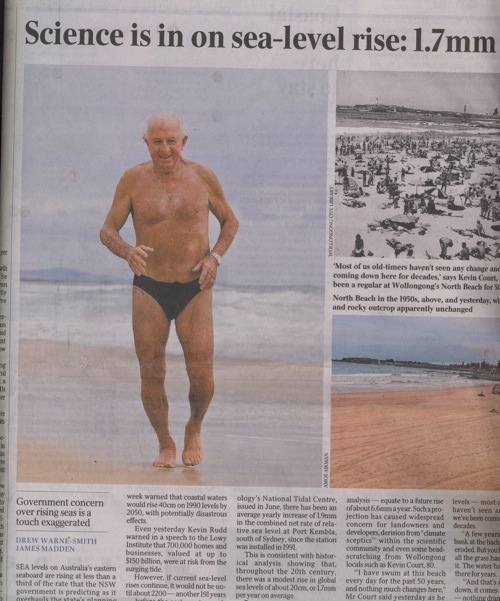 This ‘old codger’ with 80 years of connection to his local beach, has seen no rise in sea levels. He stands defiantly (in his swimming togs) to suggest, by implication, that the boffins have got it all wrong! It’s even worse. Consider the imagery here. Here he stands, a man of undefined expertise, challenging the mighty machinery of scientific expertise, without even the armour of clothes! Here he stands, near naked and defiant. That’s how tenuous the scientific community’s credibility has become, with even the most unassuming constituency of the community marketplace. Has the Scientific Establishment now reverted to a mumbling crowd of misunderstood experts despairing that the world no longer listens? It doesn’t help that the divisions of view and dissension from the tail ends of the Scientific Community’s consensus bell curve are frequently aired in public; and held to suggest that there really is no consensus at all. Indeed, the bell curve is now pretty stretched. Community dissenters can pick and choose from any outlying scientific viewpoint that best meets their particular self-interested needs. The Oil Industry can pick customised scientific colours to recommend their own agenda of business as usual – and forever. Coal fired power generators have customised science on tap. The automobile industry plays the game of ‘gaps’. They look for holes in the Scientific Debate to recommend a refocus on jobs-jobs-jobs, instead (which really translates to profits and cash flow). Farmers, fishermen and the airlines are all playing the same game. That bell curve of scientific facts is being squashed to a parallel bar. The Scientific Establishment is eating itself. And, as the establishment of objectivism falls or fails, the ball passes to that usual crowd. The ball has now been passed to the politicians for resolution. That’s the agenda for the Great Debate in Copenhagen in December this year. When I first tinkered with economics as an undergraduate lecturer, we all used to tell our students that ‘economics can only go so far’. At the end of the day, we’d say, when we have delivered the ‘facts’, if there are controversies of welfare to resolve, that’s the job for politicians. Not us. The best we can do is estimate the benefits and costs. It’s up to the politicians to decide what’s best from a social point of view. I always noted that this rather astounding ‘cop out’ was most readily accepted by economics-major students. But half my students were from science. My science-major audience always found that particular stance harder to accept. They’d been weaned on the harder core of Scientific Objectivism: we are there to consider and deliver the facts. Facts are facts and facts should rule the debate. The culture of ‘Expert-Driven Systems’ was the religion to which they were tuned. It’s this culture of Expert-Systems thinking that is the core issue at stake. So far, the character of most of the debate, rhetoric and governance of Climate Change has been shaped by the culture of Expert-Systems thinking. There are facts out there to find. We shall find them. We shall deliver them. And that is the best we can do. Believe in our black boxes! We are the experts! But consider this gentleman featured on the front page of our only national newspaper. Does he appear to be conforming to the expectations of the Expert-Systems culture of scientific persuasion? Does the newfound Cargo Cult stature of the Copenhagen conference suggest that Scientific Opinion now rules the debate? Aren’t we all, now, standing wrapped, heads raised, hoping for the manna of solutions to be delivered when our political heads meet to debate? It’s a dead-end process with which we are all now engaged. The best to come from the ‘failure of science to convince’ reasserted surge of political empowerment will be some essentially worthless spin. The best we can expect is some carefully worded statements flatulent with meaningless ‘targets’ and empty statements of intent. Really, there are two pathways left. If there is any truth at all to the predictions of ecological catastrophe to come, path one is a cascade of extinctions and, ultimately, the extinction of all life on Earth. Path two would be to reconfigure the culture through which we will subsequently deal with the issues at hand. Essentially, the Expert-Systems model is no good. It’s a worthless setting through which to explore and deal with issues as deeply complex as Climate Change. While I probably should establish this contention of complexity more formally than I have thus far, suffice it to say, for the purposes of this discussion, Climate Change is a perfect icon for complexity, if not chaos. The issues are astoundingly broad and transdisciplinary in scope. They are dynamic, emergent, and frequently beyond the resolution of any one’s model (model of understanding or model in a mathematical sense). We can never know it all, or predict with any degree of precision. The more we look, the more we find. We will never, ever, reach the destination of complete understanding. So stop bothering to try. That’s the nature of complexity science. That’s the science that matters here. If there’s one thing we should have learned from our experiences with the contemporary phenomenon of internet-based ‘social networking’, it’s the power of collective engagement as a model for culture shifting change. Crowd sourcing, discursive democracy, deliberative participative process; call it what you will. When the facility of focused collective engagement is purposefully deployed, change happens of a rather definitive kind. My thesis is relatively simple. The overwhelming confusions of the Climate Change Debate are beyond the capacities of expert process to reconcile. So, rather than continue on our current course to simplify and fantasise about definitive answers and courses of action, embrace the exact opposite. Embrace the astounding discursive breadth of the debate instead. Embrace difference, embrace perspectives not our own. Dig into viewpoints other than your own. Explore the thinking behind and underneath the outlying points of view. It’s only when we embrace differences of this kind that real collective learning can begin. Break open the black boxes of expert points of view. Air the assumptions and axioms that drive the points of view we each hold. Expose them for open-review. That’s the best way to articulate our own convictions and at least understand the convictions of others. I keep on talking about the need for internet-based gateways. I am convinced that we need portals through which to facilitate the conversations we need to have. Without devices such as this, the field is simply too messy to comprehend. We need to organise our breadth of ‘knowing’ through the machinery of fundamentally interactive exchange. The internet provides the capacity for at least some of the infrastructure of this kind. I am not advocating endless open-ended debate. I am advocating a clearing house and communicative highway through which to present and open our various understanding of the issues at hand and through which to outline plans through which we should proceed. We need to adopt a culture of ‘proceeding as though we are wrong’. We simply need to proceed. We need to proceed now. But we don’t yet have all the facts. We will never have all the facts. We will probably never even have half of the facts. But we still need to proceed. If we know and accept the vulnerabilities of our expertise, we can proceed with necessary humility and caution. If we share our stories and our experiences as we proceed, well facilitated open-communicative engagement can spark a ‘collective brain’ of a vastly more enlightened kind than any single discipline could ever apply. Facilitation is the key. The communication we need needs to be purposefully facilitated by people who know what they are doing Not just by simply building a web site or two! Or through holding a conference of ‘world leaders’ in Copenhagen. After we have re-engineered our culture down to a degree that admits humility and less than perfect omniscience-in-all-things, we can proceed with an ‘eyes-wide-open’ collaborative approach. If we assume the possibilities that we might actually have some of our facts all wrong, we’d be tuned to finding those errors along the way. Errors are OK! They are a symptom of learning and learning is what we really need to be doing. And, best of all, if we do open the doors to more collective engagement on issues of this kind, we get a higher degree of collective ownership of the understandings we apply and of the pathways we choose to travel. The absence of collective ownership in relation to the phenomena of climate change is precisely the root cause of the problems we now face. The abject immaturity of the current culture of ‘your fault, not mine’ and ‘not in my backyard’ is the foundation stone for the accumulative disaster of human-influenced Climate Change. We need to deal with the issues at hand from within a culture that’s quite the opposite of that which caused the problems that now have the potential to kill us all.